K. Miyazawa, S. Okamoto, T. Yomogita, N. Kikuchi, O. Kitakami, K. Toyoki, D. Billington, Y. Kotani, T. Nakamura, T. Sasaki, T. Ohkubo and K. Hono, "First-order reversal curve analysis of a Nd-Fe-B sintered magnet with soft X-ray magnetic circular dichroism microscopy", Acta Mater. 162, 1-9 (2019). Y. Kotani, Y. Senba, K. Toyoki, D. Billington, H. Okazaki, A. Yasui, W. Ueno, H. Ohashi, S. Hirosawa, Y. Shiratsuchi, and T. Nakamura*, "Realization of a scanning soft X-ray microscope for magnetic imaging under high magnetic fields", J. Synchrotron Rad. 25, 1444-1449 (2018). N. Tsuji, H. Okazaki, W. Ueno, Y. Kotani, D. Billington, A. Yasui, S. Kawaguchi, K. Sugimoto, K. Toyoki, T. Fukagawa, T. Nishiuchi, Y. Gohda, S. Hirosawa, K. Hono, and T. Nakamura*, "Temperature dependence of the crystal structures and phase fractions of secondary phases in a Nd-Fe-B sintered magnet", Acta Mater. 154, 25-32 (2018). S. Kim, K. Ueda, G. Go, P.H. Jang, K.J. Lee, A. Belabbes, A. Manchon, M. Suzuki, Y. Kotani, T. Nakamura, K. Nakamura, T. Koyama, D. Chiba, K. Yamada, D.H. Kim, T. Moriyama, K.J. Kim and T. Ono, "Correlation of the Dzyaloshinskii-Moriya Interaction with Heisenberg Exchange and Orbital Asphericity", Nat. Commun. 9, 1648 (2018). Y. Matsuura, T. Nakamura, K. Sumitani, K. Kajiwara, R. Tamura, and K. Osamura, "Angular Dependence of Coercivity in Isotropically Aligned Nd-Fe-B Sintered Magnets", AIP ADVANCES 8, 056236 (2018). Y. Matsuura, T. Nakamura, K. Sumitani, K. Kajiwara, R. Tamura, and K. Osamura, "Angular dependence of coercivity derived from alignment dependence of coercivity in Nd-Fe-B sintered magnets", AIP ADVANCES 8, 015226 (2018). S. Ye, T. Nozaki, Y. Kotani, K. Toyoki, T. Nakamura, S. Yonemura, T. Shibata, S. Pati, M. Al-Mahdawi, Y. Shiokawa, and M. Sahashi, "Inserted metals for low-energy magnetoelectric switching in a Cr2O3/ ferromagnet interfacial exchange-biased thin film system", J. Mater. Chem. C 6, 2962-2969 (2018). M. Mito, H. Ohsumi, K. Tsuruta, Y. Kotani, T. Nakamura, Y. Togawa, M. Shinozaki, Y. Kato, J. Kishine, J. Ohe, Y. Kousaka, J. Akimitsu, and K. Inoue, "Geometrical protection of topological magnetic solitons in microprocessed chiral magnets", Phys. Rev. B 97, 024408 (2018). T. Kawabe, K. Yoshikawa, M. Tsujikawa, T. Tsukahara, K. Nawaoka, Y. Kotani, K. Toyoki, M. Goto, M. Suzuki, T. Nakamura, M. Shirai, Y. Suzuki, and S. Miwa, "Electric-field-induced changes of magnetic moments and magnetocrystalline anisotropy in ultrathin cobalt films", Phys. Rev. B 96, 220412(R) (2017). T. Tsukahara, T. Kawabe, K. Shimose, T. Furuta, R. Miyakaze, K. Nawaoka, M. Goto, T. Nozaki, S. Yuasa, Y. Kotani, K. Toyoki, M. Suzuki, T. Nakamura, Y. Suzuki, and S. Miwa, "Characterization of the magnetic moments of ultrathin Fe film in an external electric field via high-precision X-ray magnetic circular dichroism spectroscopy", Jpn. J. Appl. Phys. Rapid Communications 56, 060304 (2017). S. Kim, S.C. Baek, M. Ishibashi, K. Yamada, T. Taniguchi, T. Okuno, Y. Kotani, T. Nakamura, K.J. Kim, T. Moriyama, B.G. Park, and T. Ono, "Contributions of Co and Fe orbitals to Perpendicular Magnetic Anisotropy of MgO/CoFeB Bilayers with Spin-Orbit-Torque-Related (Ta, W, IrMn, and Ti) Underlayers", Appl. Phys. Express 10, 073006 (2017). R. Stinshoff, G.H. Fecher, S. Chadov, A.K. Nayak, B. Balke, S. Ouardi, T. Nakamura, and C. Felser, "Half-metallic compensated ferrimagnetism with a tunable compensation point over a wide temperature range in the Mn-Fe-V-Al Heusler system", AIP Advances 7, 105009 (2017). H. Yasumura, Y. Narumi, T. Nakamura, Y. Kotani, A. Yasui, E. Kishaba, A. Mitsuda, H. Wada, K. Kindo, and H. Nojiri, "40 T Soft X-ray Spectroscopies on Magnetic-Field-Induced Valence Transition in Eu(Rh1-xIrx)2Si2 (x = 0.3)", J. Phys. Soc. Jpn. 86, 054706 (2017). S. Miwa, M. Suzuki, M. Tsujikawa, K. Matsuda, T. Nozaki, K. Tanaka, T. Tsukahara, K. Nawaoka, M. Goto, Y. Kotani, T. Ohkubo, F. Bonell, E. Tamura, K. Hono, T. Nakamura, M. Shirai, S. Yuasa, and Y. Suzuki, "Voltage control of platinum orbits: a contribution to interfacial magnetism", Nat. Commun. 8, 15848 (2017). R. Stinsho, A.K. Nayak, G.H. Fecher, B. Balke, S. Ouardi, Y. Skourski, T. Nakamura, and C. Felser, "Completely compensated half-metallic ferrimagnetism and sublattice spin crossing in the Heusler compound Mn1.5FeV0.5Al", Phys. Rev. B 95, 060410 (R) (2017). 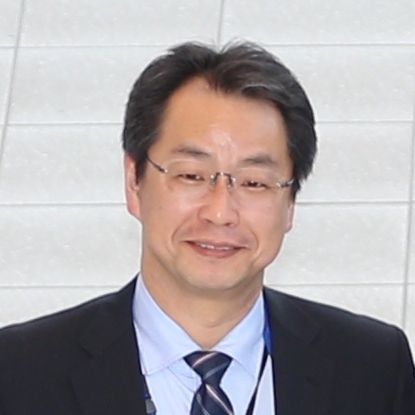 Y. Shiratsuchi, W. Kuroda, T.V.A. Nguyen, Y. Kotani, K. Toyoki, T. Nakamura, M. Suzuki, K. Nakamura, and R. Nakatani, "Simultaneous achievement of high perpendicular exchange bias and low coercivity by controlling ferromagnetic/antiferromagnetic interfacial magnetic anisotropy", J. Appl. Phys. 121, 073902 (2017). Y. Narumi, T. Nakamura, H. Ikeno, N. Terada, T. Morioka, K. Saito, H. Kitazawa, K. Kindo, and H. Nojiri, "Evidence of Charge Transfer and Orbital Magnetic Moment in Multiferroic CuFeO2", J. Phys. Soc. Jpn. 85 114705 (2016). D. Oshima, M. Tanimoto, T. Kato, Y. Fujiwara, T. Nakamura, Y. Kotani, and S. Iwata, "Ion Irradiation-Induced Magnetic Transition of MnGa Alloy Films Studied by X-Ray Magnetic Circular Dichroism and Low-Temperature Hysteresis Loops", IEEE Transactions on Magnetics 52, 3201804 (2016). R. Goto, S. Okamoto, T. Ohkochi, N. Kikuchi, O. Kitakami, and T. Nakamura, " Simultaneous magnetic and chemical imaging of Nd-Fe-B thin films by means of XMCD-PEEM technique", J. Magn. Soc. Jpn. 40, 87-90 (2016). Y. Senba, H. Ohashi, Y. Kotani, T. Nakamura, T. Muro, T. Ohkochi, N. Tsuji, H. Kishimoto, T. Miura, M. Tanaka, M. Higashiyama, S. Takahashi, Y. Ishizawa, T. Matsushita, Y. Furukawa, T. Ohata, N. Nariyama, K. Takeshita, T. Kinoshita, A. Fujiwara, M. Takata, and S. Goto, "Upgrade of BL25SU for Soft X-ray Imaging and Spectroscopy of Solid Using Nano- and Micro-focused Beams at SPring-8", AIP Conference Proceedings 1741, 030044 (2016). M.Suzuki, A. Yasui, Y. Kotani, N. Tsuji, T. Nakamura, and S. Hirosawa, "Magnetic domain evolutionin Nd-Fe-B:Cu sintered magnet visualized by scanning hard X-ray microprobe", Acta Mater. 106, 155-161 (2016). J. Wang, L. Liang, L. Zhang, M. Yano, K. Terashima, H. Kada, S. Kato, T. Kadono, S. Imada, T. Nakamura, and S. Hirano, "Mixed-valence state of Ce and its individual atomic moments in Ce2Fe14B studied by using soft x-ray magnetic circular dichroism", Intermetallics 69, 42-46 (2016). S. Kang, H. Zheng, T. Liu, K. Hamachi, S. Kanegawa, K. Sugimoto, Y. Shiota, S. Hayami, M. Mito, T. Nakamura, M. Nakano, M.L. Baker, H. Nojiri, K. Yoshizawa, C. Duan, and O. Sato, "A Ferromagnetically Coupled Stellated Cuboctahedral Spin Nanocagey", Nat. Commun. 6, 5955 (2015). S. Miwa, K. Matsuda, K. Tanaka, Y. Kotani, M. Goto, T. Nakamura, and Y. Suzuki, "Voltage-Controlled Magnetic Anisotropy in Fe|MgO Tunnel Junctions Studied by X-ray Absorption Spectroscopy", Appl. Phys. Lett. 107, 162402 (2015). Sh. Yamamoto, M. Taguchi, T. Someya, Y. Kubota, S. Ito, H. Wadati, M. Fujisawa, F. Capotondi, E. Pedersoli, M. Manfredda, L. Raimondi, M. Kiskinova, J. Fujii, P. Moras, T. Tsuyama, T. Nakamura, T. Kato, T. Higashide, S. Iwata, S. Yamamoto, S. Shin, and I. Matsuda, "Ultrafast spin-switching of a ferrimagnetic alloy at room temperature traced by resonant magneto-optical Kerr effect using a seeded free electron laser", Rev. Sci. Instrum. 86, 083901 (2015). Y. Shiratsuchi, Y. Kotani, K. Toyoki, S. Yoshida, A. Kobane, R. Nakatani, and T. Nakamura, "Imaging of spatial distribution and local spectroscopy of absorption and magnetic circular dichroism of ultrathin magnetic film using focused soft X-ray beam", AIMS Material Science 2, 484-496 (2015). K. Toyoki, Y. Shiratsuchi, A. Kobane, C. Mitsumata, Y. Kotani, T. Nakamura, and R. Nakatani, "Magnetoelectric switching of perpendicular exchange bias in Pt/Co/α-Cr2O3/Pt stacked films", Appl. Phys. Lett. 106, 162404 (2015). H. Okazaki, T. Wakita, T. Muro, T. Nakamura, Y. Muraoka, T. Yokoya, S. Kurihara, H. Kawarada, T. Oguchi, and Y. Takano, "Signature of high Tc above 25K in high quality superconducting diamond", Appl. Phys. Lett. 106, 052601 (2015). Y. Narumi, T. Nakamura, K. Saito, T. Morita, Y. Fukuda, T. Kambe, N. Ikeda, Y. Kotani, T. Kinoshita, K. Kindo, and H. Nojiri, “Valence-Specific Magnetization of the Charge-Ordered Type Multiferroelectric LuFe2O4 using Soft X-ray Magnetic Circular Dichroism under 30 T Pulsed-High-Magnetic-Field”, Phys. Rev. B 91, 014410 (2015). A. Yasui, T. Nakamura, Y. Kotani, T. Fukagawa, T. Nishiuchi, and S. Hirosawa, "Temperature dependence of post-sintered annealing on magnetic properties of intergranular phase in Nd-Fe-B permanent magnet", J. Appl. Phys. 117, 17B313 (2015). S. Ouardi, G.H. Fecher, T. Kubota, S. Mizukami, E. Ikenaga, T. Nakamura, and C. Felser, "Magnetic dichroism study on Mn1.8Co1.2Ga thin film using a combination of x-ray absorption and photoemission spectroscopy", J. Phys. D: Appl. Phys. 48, 164007 (2015). T. Nakamura, A. Yasui, Y. Kotani, T. Fukagawa, T. Nishiuchi, H. Iwai, T. Akiya, T. Ohkubo, Y. Gohda, K. Hono, and S. Hirosawa, "Direct observation of ferromagnetism in grain boundary phase of Nd-Fe-B sintered magnet using soft x-ray magnetic circular dichroism", Appl. Phys. Lett. 105, 202404 (2014). K. Toyoki, Y. Shiratsuchi, T. Nakamura, S. Harimoto, Y. Takechi, T. Nishimura, C. Mitsumata, H. Nomura, and R. Nakatani, "Equilibrium surface magnetization of α-Cr2O3 studied through interfacial chromium magnetization in Co/α-Cr2O3 layered structures", Appl. Phys. Express 7, 114201 (2014). B. S. D. Ch. S. Varaprasad, Y. K. Takahashi, J. Wang, K. Hono, T. Ina, T. Nakamura, W. Ueno, K. Nitta, and T. Uruga, "Mechanism of coercivity enhancement by Ag addition in FePt-C granular films for heat assisted magnetic recording (HAMR) media", Appl. Phys. Lett. 104, 222403 (2014). H. Hojo, K. Fujita, H. Ikeno, T. Matoba, T. Mizoguchi, I. Tanaka, T. Nakamura, Y. Takeda, T. Okane, and K. Tanaka, "Magnetic structures of FeTiO3-Fe2O3 solid solution thin films studied by soft X-ray magnetic circular dichroism and ab initio multiplet calculations", Appl. Phys. Lett. 104, 112408 (2014). Sh. Yamamoto, M. Taguchi, M. Fujisawa, R. Hobara, S. Yamamoto, K. Yaji, T. Nakamura, K. Fujikawa, R. Yukawa, T. Togashi, M. Yabashi, M. Tsunoda, S. Shin, and I. Matsuda, "Observation of a giant Kerr rotation in a ferromagnetic transition metal by M-edge resonant magneto-optic Kerr effect", Phys. Rev. B 89, 064423 (2014). D. Oshima, M. Tanimoto, T. Kato, Y. Fujiwara, T. Nakamura, Y. Kotani, S. Tsunashima, and S. Iwata, "Modifications of Structure and Magnetic Properties of L10 MnAl and MnGa Films by Kr+ Ion Irradiation", Phys. Rev. B 89, 064423 (2014). K. Ozawa, T. Kakubo, K. Shimizu, N. Amino, K. Mase, E. Ikenaga, T. Nakamura, T. Kinoshita, and H. Oji, "In situ chemical state analysis of buried polymer/metal adhesive interface by hard X-ray photoelectron spectroscopy", Appl. Surf. Sci. 320, 177 (2014). D. Ogawa, R. Kitaura, T. Saito, S. Aoyagi, E. Nishibori, M. Sakata, T. Nakamura, and H. Shinohara, "Observation and Characterization of Fragile Organometallic Molecules Encapsulated in Single-Wall Carbon Nanotubes", J. Nanomaterials 2014, 539295 (2014). C. Guglieri, E. Céspedes, A. Espinosa, M. Á. Laguna-Marco, N. Carmona, Y. Takeda, T. Okane, T. Nakamura, M. García-Hernandez, M. Á. García, and J. Chaboy, "Evidence of Oxygen Ferromagnetism in ZnO Based Materials", Advanced Functional Materials 24, 2094 (2014). A. Kotani and T. Nakamura, "Theoretical Analysis of Experimental Valence and Magnetization Data around the Field- and Temperature-Induced Valence Transitions of EuNi2(Si0.18Ge0.82)2: Unified Interpretation for the Results from Soft X-ray Absorption, Its Magnetic Circular Dichroism, and Magnetostatic Measurements", J. Phys. Soc. Jpn, 82, 044710 (2013). T. Nakamura and M. Suzuki, "Recent Progress of the X-ray Magnetic Circular Dichroism Technique for Element-Specific Magnetic Analysis", J. Phys. Soc. Jpn. 82, 021006 (2013). (Invited review paper). M. L. Baker, Y. Kitagawa, T. Nakamura, K. Tazoe, Y. Narumi, Y. Kotani, F. Iijima, G. N. Newton , M. Okumura, H. Oshio, and H. Nojiri, "X-ray Magnetic Circular Dichroism Investigation of the Electron Transfer Phenomena Responsible for Magnetic Switching in a Cyanide-Bridged [CoFe] Chain", Inorg. Chem. 52, 13956 (2013). T. Kawamoto, K. Fujita, H. Akamatsu, T. Nakamura, T. Kinoshita, M. Mizumaki, N. Kawamura, M. Suzuki, Y. Kususe, S. Murai, and K. Tanaka, "Ferromagnetic amorphous oxides in EuO-TiO2 systems studied by Faraday effect in the visible region and x-ray magnetic circular dichroism at the Eu M4,5 and L2,3 edges", Phys. Rev. B 88, 024405 (2013). A. Tohki, K. Aikoh, R. Shinoda, T. Ohkochi, M. Kotsugi, T. Nakamura, T. Kinoshita, A. Iwase, and T. Matsui, "X-ray magnetic circular dichroism photoemission electron microscopy of focused ion beam-induced magnetic patterns on iron?rhodium surfaces", Nucl. Instr. and Meth. B 302, 51 (2013). K. Aikoh, A. Tohki, S. Okuda, Y. Saitoh, T. Kamiya, T. Nakamura, T. Kinoshita, A. Iwase, and T. Matsui, "Study on ferromagnetic ordering of FeRh thin films induced by energetic heavy ion irradiation by means of X-ray Magnetic Circular Dichroism", Nucl. Instr. and Meth. B 314, 99 (2013). F. Bonell, D. D. Lam, S. Yoshida, Y. T. Takahashi, Y. Shiota, S. Miwa, T. Nakamura and Y. Suzuki, "Investigation of Au and Ag segregation on Fe(001) with soft x-ray absorption", Surface Science 616, 125 (2013). F. Bonell, Y. T. Takahashi, D. D. Lam, S. Yoshida, Y. Shiota, S. Miwa, T. Nakamura, and Y. Suzuki, "Reversible change in the oxidation state and magnetic circular dichroism of Fe driven by an electric field at the FeCo/MgO interface", Appl. Phys. Lett. 102, 152401 (2013). P. Sheng, F. Bonell, S. Miwa, T. Nakamura, Y. Shiota, S. Murakami, D. D. Lam, S. Yoshida, and Y. Suzuki, "Detailed analysis of spin-dependent quantum interference effects in magnetic tunnel junctions with Fe quantum wells", Appl. Phys. Lett. 102, 032406 (2013). S.M. Suturin, V.V. Fedorov, A.G. Banshchikov, D.A. Baranov, K.V. Koshmak, P. Torelli, J. Fujii, G. Panaccione, K. Amemiya, M. Sakamaki, T. Nakamura, M. Tabuchi, L. Pasquali and N.S. Sokolov, "Proximity effects and exchange bias in Co/MnF2(111) heterostructures studied by x-ray magnetic circular dichroism", J. Phys. : Condens. Matter 25, 046002 (2013). T. Kinoshita, K. Arai, K. Fukumoto, T. Ohkochi, M. Kotsugi, F. Guo, T. Muro, T. Nakamura, H. Osawa, T. Matsushita, and T. Okuda, "Observation of Micro-Magnetic Structures by Synchrotron Radiation Photoelectron Emission Microscopy", J. Phys. Soc. Jpn. 82, 021005 (2013). Y. Narumi, T. Nakamura, T. Kinoshita, Y.H. Matsuda, and H. Nojiri, “X-ray Spectroscopies in Pulsed High Magnetic Fields: New Frontier with Flying Magnets and Rolling Capacitor Banks”, Synchrotron Radiation News 25, No.6, 12 (2012). T. Nakamura, T. Hirono, T. Kinoshita, Y. Narumi, M. Hayashi, H. Nojiri, A. Mitsuda, H. Wada, K. Kodama, K. Kindo, and A. Kotani, "Soft-X-ray magnetic circular dichroism under pulsed high magnetic fields at the Eu M4,5 edges of a mixed valence compound EuNi2(Si0.18Ge0.82)2", J. Phys. Soc. Jpn, 81, 10375 (2012). M. Suzuki, T. Nakamura, K. Kodama, S. Isogami, N. Awaji, M. Oura, E. Matsubara, T. Ishikawa, and M. Tsunoda, "Disturbance-Free Observation of the Barkhausen Effect in Co/Pt Multilayer by X-ray Fourier Transform Holography", J. Magn. Soc. Jpn. 36, 304 (2012). S. R. Giblin, J. W. Taylor, J. A. Dufy, M. W. Butchers, C. Utfeld, S. B. Dugdale, T. Nakamura, C. Visani, and J. Santamaria, "Magnetic Exchange in a Superconducting Oxide Thin Film", Phys. Rev. Lett. 109, 077202 (2012). Y. Shiratsuchi, K. Wakatsu, T. Nakamura, H. Oikawa, S. Maenou Y. Narumi, K. Tazoe, C. Mitsumata, T. Kinoshita, H. Nojiri, and R. Nakatani, "Isothermal Switching of Perpendicular Exchange Bias by Pulsed High Magnetic Field", Appl. Phys. Lett. 100, 262413 (2012). T. Kinoshita, T. Ohkochi, H. Osawa, K. Arai, K. Fukumoto, T. Okuda, M. Kotsugi, T. Muro, T. Nakamura, and T. Matsushita, "Status of pump-probe time-resolved photoemission electron microscopy at SPring-8", J. Electron. Spectrosc. Relat. Phenom. 185, 389 (2013). Y. Shiratsuchi, H. Noutomi, H. Oikawa, T. Fujit, T. Nakamura, M. Suzuki, Y. Takechi, K. Arakawa, A. Sugihara, H. Mori, T. Kinoshita, and R. Nakatani, "Detection and in-situ switching of un-reversed interfacial antiferromagnetic spins in a perpendicular exchange-biased system", Phys. Rev. Lett. 109, 077202 (2012). T. Ohkochi, A. Yamaguchi, M. Kotsugi, H. Hata, M. Goto, Y. Nozaki, T. Nakamura, H. Osawa, and T. Kinoshita, "Progress in Time-Resolved Photoemission Electron Microscopy at BL25SU, SPring-8: Radiofrequency Field Excitation of Magnetic Vortex Core Gyration", Jpn. J. Appl. Phys. 51, 128001 (2012). T. Ohkochi, H. Fujiwara, M. Kotsugi, A. Tsukamoto, K. Arai, S. Isogami, A. Sekiyama, J. Yamaguchi, K. Fukushima, R. Adam, C. M. Schneider, T. Nakamura, K. Kodama, M. Tsunoda, T. Kinoshita, and S. Suga, "Microscopic and Spectroscopic Studies of Light-Induced Magnetization Switching of GdFeCo Facilitated by Photoemission Electron Microscopy", Jpn. J. Appl. Phys. 51, 073001 (2012). K. Arai, T. Okuda, A. Tanaka, M. Kotsugi, K. Fukumoto, T. Ohkochi, T. Nakamura, T. Matsushita, T. Muro, M. Oura, Y. Senba, H. Ohashi, A. Kakizaki, C. Mitsumata, and T. Kinoshita, "Three-Dimensional Spin Orientation in Antiferromagnetic Domain Walls of NiO Studied by X-ray Magnetic Linear Dichroism Photoemission Electron Microscopy", Phys. Rev. B 85, 104418 (2012). A.J. Princep, A.M. Mulders, E. Schierle, E. Weschke, J. Hester, W. D. Hutchison, Y. Tanaka, N. Terada, Y. Narumi, and T. Nakamura, "High-order Ho multipoles in HoB2C2 observed with soft resonant x-ray diffraction", J. Phys. : Condens. Matter 24, 075602 (2012). K. Aikoh, A. Tohki, T. Matsui, A. Iwase, T. Satoh, K. Takano, M. Kohka, Y. Saitoh, T. Kamiya, T. Ohkochi, M. Kotsugi, T. Nakamura, and T. Kinoshita, "MFM and PEEM observation of micrometre-sized magnetic dot arrays fabricated by ion-microbeam irradiation in FeRh thin films", J. Synchrotron Rad. 19, 223 (2012). T. Nakamura, Y. Narumi, T. Hirono, M. Hayashi, K. Kodama, M. Tsunoda, S. Isogami, H. Takahashi, T. Kinoshita, K. Kindo, and H. Nojiri, "Soft X-ray magnetic circular dichroism of a CoFe/MnIr exchange bias film under pulsed high magnetic field", Appl. Phys. Express 4, 066602 (2011). K. Takenaka, T. Shibayama, A. Ozawa, T. Hamada, T. Nakamura, K. Kodama, and T. Kinoshita, "Magnetic state of Mn3CuN explored by soft x ray magnetic circular dichroism", J. Appl. Phys. 110, 023909 (2011). M. Hayashi, Y. Narumi, H. Nojiri, T. Nakamura, T. Hirono, T. Kinoshita, K. Kodama, K. Kindo, "25 Tesla pulsed-high-magnetic-field system for soft X-ray spectroscopy", J. Electron. Spectrosc. Relat. Phenom. 184, 338-341 (2011). H. Okazaki, R. Yoshida, T. Muro, T. Nakamura, T. Wakita, Y. Muraoka, M. Hirai, H. Kato, S. Yamasaki, Y. Takano, S. Ishii, T. Oguchi, and T. Yokoya, "Multiple phosphorus chemical sites in heavily phosphorus-doped diamond", Appl. Phys. Lett. 98, 082107 (2011). H. Takahashi, Y. Kota, M. Tsunoda, T. Nakamura, K. Kodama, A. Sakuma, and M. Takahashi, "Uncompensated antiferromagnetic moments in Mn-Ir/FM (FM=Ni-Co, Co-Fe, Fe-Ni) bilayers: Compositional dependence and its origin", J. Appl. Phys. 110, 123920 (2011). A.J. Princep, A.M. Mulders, U.Staub, V. Scagnoli, T. Nakamura, A. Kikkawa, S.W. Lovesey, and E. Balcar, "Triakontadipole and high-order dysprosium multipoles in the antiferromagnetic phase of DyB2C2", J. Phys. : Condens. Matter 23, 266002 (2011). K. Arai, T. Okuda, K. Fukumoto, M. Kotsugi, T. Ohkochi, K. Kodama,T. Kimura, Y. Haruyama, T. Nakamura, T. Matsushita, H. Osawa, T. Muro, S. Matsui, A. Kakizaki, Y. Otani, and T. Kinoshita, "Dynamics of Magnetostatically Coupled Vortices Observed by Time-Resolved Photoemission Electron Microscopy", Jpn. J. Appl. Phys. 50, 053001 (2011). K. Arai, T, Okuda, A Tanaka, K. Fukumoto, T. Hasegawa, T. Nakamura, T. Matsushita, T. Muro, A. Kakizaki, and T. Kinoshita, "Direct observation of spin configuration in an exchange coupled Fe/NiO(100) system by XMCD- and XMLD-PEEM", J. Appl. Phys. 110, 084306 (2011). J. Ishikawa, T. Miyahara, Y. Hirato, H. Ishii, T. Kodama, K. Kikuchi, T. Nakamura, K. Kodama, D. Asakura, and T. Koide, "MCD study on Ce@C82 and Ce2@C80 in the soft-X-ray region", J. Electron. Spectrosc. Relat. Phenom. 184, 284 (2011). R. Yamaguchi, K. Terashima, K. Fukumoto, Y. Takada, M. Kotsugi, Y. Miyata, K. Mima, S. Komori, S. Itoda, Y. Nakatsu, M. Yano, N. Miyamoto, T. Nakamura, T. Kinoshita, Y. Watanabe, A. Manabe, S. Suga, and S. Imada, "An XMCD-PEEM study on magnetized Dy-doped Nd-Fe-B permanent magnets", IBM J. RES. & DEV. 55, 12 (2011). J. Winterlik, G. H. Fecher, B. Balke, T. Graf, V. Alijani, V. Ksenofontov, C. A. Jenkins, O. Meshcheriakova, C. Felser, G. Liu, S. Ueda, K. Kobayashi, T. Nakamura, and M. Wó jcik, "Electronic, magnetic, and structural properties of the ferrimagnet Mn2CoSn", Phys. Rev. B 83, 174448 (2011). K. Arai, T. Okuda, K. Fukumoto, M. Kotsugi, T. Ohkochi, K. Kodama, T. Kimura, Y. Haruyama, T. Nakamura, T. Matsushita, H. Osawa, T. Muro, S. Matsui, A. Kakizaki, Y. Otani, and T. Kinoshita, "Dynamics of Magnetostatically Coupled Vortices Observed by Time-Resolved Photoemission Electron Microscopy", J. Jpn. Appl. Phys. 50, 053001 (2011). T. Nakamura, R. Kato, K. Ishigami, Y. Kotani, K. Toyoki, D. Billington, K. Sumitani, K. Kajiwara, Y. Matsuuram, and R. Tamura, "Magnetic domain structure studies in high coercivity permanent magnets using the X-ray magnetic circular dichroism technique", The 9th Joint European Magnetic Symposia (JEMS) conference, Mainz, Germany, Sep. 3rd - Sep. 7th (2018) . Talk on Sep. 3rd. T. Nakamura, Y. Narumi, H. Yasumura, Y. Kotani, K. Toyoki, D. Billington, T. Hirono, K. Kindo, S. Hirosawa and H. Nojiri, "Soft X-ray studies of magnetic materials under high magnetic fields", The 13th International Conference on Synchrotron Radiation Instrumentation (SRI 2018), Taipei, Taiwan, Jun. 10th - Jun. 15th, (2018). Talk on Jun. 14th. (Keynote) T. Nakamura, Y. Kotani, K. Toyoki, D. Billington, H. Okazaki and S.Hirosawa, " XMCD Studies of Magnetic Materials with High Special Resolution and High Magnetic Fields", International Union of Materials Research Societies-International Conference in Asia (IUMRS-ICA2017), Taipei, Taiwan, Nov. 5th - Nov. 9th, (2017). Talk on Nov. 7th. T. Nakamura, "XMCD imaging of magnetization reversal processes in Nd-Fe-B magnets", 3N-Lab Workshop on Permanent Magnets, Tsukuba, Japan, Mar. 24th - March. 24th, (2017). Talk on Mar. 24th. T. Nakamura, "Microstructure and magnetism of a Nd-Fe-B sintered magnet investigated using synchrotron X-rays", The 4th International Conference of Asian Union of Magnetics Societies (IcAUMS 2016), Tainan, Taiwan, Aug. 1st - Aug. 5th, (2016). Talk on Aug. 4th. T. Nakamura, "Synchrotron radiation analysis of Nd-Fe-B sintered magnet", The 2016 MRS Spring Meeting, Phoenix, Arizona, USA, Mar. 28th - Apr. 1st, (2016). Talk on Mar. 30th. T. Nakamura, "Synchrotron X-ray analysis of structure and magnetism of grain boundary phases in Nd-Fe-B sintered magnet", ESICMM-G8 Symposium on Next Generation Permanent Magnets, Tsukuba, Japan, June 18th - 19th, (2015). Talk on Nov. 18th. (Tutorial)T. Nakamura, "X-ray magnetic circular dichroism and its applications to element specific characterization of magnetic materials", 59th Annual Conference on Magnetism and Magnetic Materials, Honolulu, Hawaii, USA, November 3rd - 7th, (2014). Talk on Nov. 3rd. T. Nakamura, A. Yasui, Y. Kotani, T. Fukagawa, T. Nishiuchi, H. Iwai, T. Akiya, T. Ohkubo, K. Hono, S. Hirosawa, and Y. Gohda, " Magnetism of Grain-boundary Phase in Nd-Fe-B Sintered Magnets Studied with Soft X-ray Magnetic Circular Dichroism Technique ", The 23th International Workshop on Rare Earth and Future Permanent Magnets and Their Applications (REPM2014), Annapolis, Maryland, USA, August 17th - 21st, (2014), Talk on Aug. 20th. T. Nakamura, M. Suzuki, T. Fukagawa, H. Sepehri-Amin, T. Nishiuchi, T. Maki, Y. Narumi, H. Nojiri, K. Hono, T. Kinoshita, and S. Hirosawa, "Synchrotron X-ray Studies of Grain Boundary Phase in Nd-Fe-B Sintered Permanent Magnets towards High Coercive Force Performance", The 8th Pacific Rim International Conference on Advanced Materials and Processing (PRICM-8), Hawaii, August 4th -8th, (2013). T. Nakamura and Y. Narumi, "High magnetic field soft-X-ray spectroscopy and its application to element-specific magnetic analysis", Workshop on Synchrotron and Neutron Applications of High Magnetic Fields (SYNEMAG 2012), Grenoble - October 17th -19th, (2012). 中村哲也，鳴海康雄:” パルス強磁場軟Ｘ線分光による表面・界面磁性研究の開拓”, 表面科学, 2014年3月号, Vol.35, 158 (2014). 中村哲也, “軟X線MCDによるネオジム磁石の粒界相の磁化解析”, 「省/脱Dy化ネオジム磁石と新規永久磁石の開発」, 第 II 編・第４章, pp.58 ～ 64 (7ページ) , シーエムシー出版, 2015年6月26日発刊. 中村哲也, “磁気イメージング”, 「薄膜の評価技術ハンドブック」, 第II部・第２章・第５節, pp.290 ～ 293 (4ページ) , (株)テクノシステム, 2013年1月29日発刊. 元素戦略に基づく材料開発のための軟X線ナノビームラインBL25SU基盤整備 SPring-8利用者情報誌 Vol.19, No.2, p.102-105 (2014).